On Friday, wireless carrier Sprint has officially presented its latest Android tablet, the new ultra-affordable ZTE Optik 2. The device is now up for grabs at a very affordable price of $29.99, with a two-year contract. It is now offered for purchase through the carrier's official website. 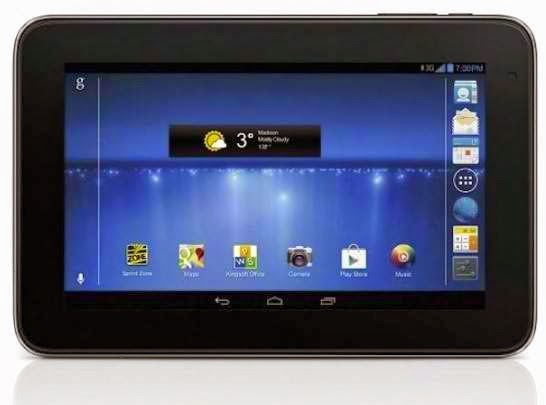 Sprint's newest Optik 2 is a 7-inch tablet that is 3G-ready but similar to the original Optik, it lacks 4G LTE services. Considering its extra low cost, the device likewise comes with entry-level specifications as such with a 1,024x600-pixel resolution, a 1.2GHz quad-core Snapdragon 200 processor, 8GB internal storage, and 1GB RAM. It also features two cameras -- a front-facing 2-megapixel and a rear 5-megapixel combo, microSD expansion, a 4,000mAh battery and Bluetooth 4.0. The device runs on Android 4.1.2 software. That sounds enough promising for the price. As part of the new deal, Sprint customers are as well given the option to pair the ZTE Optik 2 with any of its Tablet Connection plans such as the promotional 2GB data for $15 a month. Users can also use the tablet as a Wi-Fi hot spot for up to five devices, but this means paying extra $19.99 per month for 2GB of data. Another alternative offer is a 6GB hot spot plan for $49.99 a month. Sprint’s standard offerings would include 25MB for $5, 100MB for $10, 3GB of data for $34.99 and 12GB of data for $79.99.